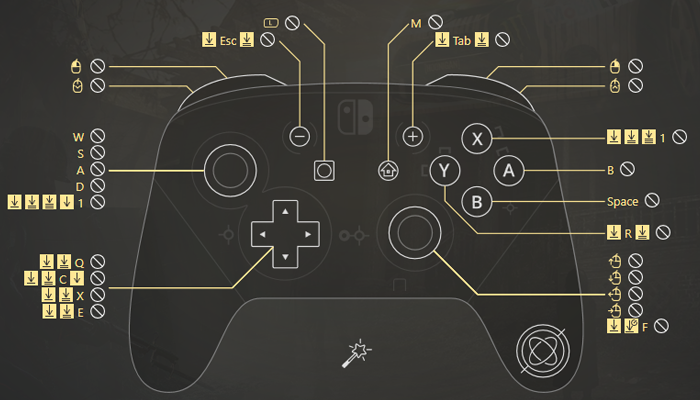 Since reWASD 4.0 released, we’ve added one more controller to the list of supported devices, and now you can create your own custom Nintendo Switch Pro controller PC scheme. All the features you might have heard about before are available for this controller now. So feel free to check out this post to know how to use Nintendo Switch Pro controller on PC! I must also say that reWASD itself is a sweet relief for all the Nintendo controller owners: it permits to use the gamepad without the additional Nintendo Switch Pro controller PC driver. Just plug the controller into the PC that has reWASD installed, add some mappings (or add a single Virtual Xbox 360 mapping, and reWASD will add all the other mappings for you :) ) and your controller is perfectly calibrated, so you're good to go. Just to get the ball to roll: reWASD works on Windows 7, 8 and 10, has lots of useful features, such as map joystick to keyboard keys or add Shift modifiers and Shortcuts for even more mappings, map key sequences made of keyboard or controller keys, invert sticks and tune their response, change hardware controller bindings, use 4 presets at once in 4 different slots, add Turbo and Toggle to keyboard and controller buttons, and much, much more! reWASD has lots of features, and it can take you quite long to explore all of them, so we decided to describe them briefly. Here are the most frequently used features that will help you make a perfect config for Nintendo Switch Pro controller PC usage, or you can jump to the practical how-to part directly, or watch the video with a detailed explanation. 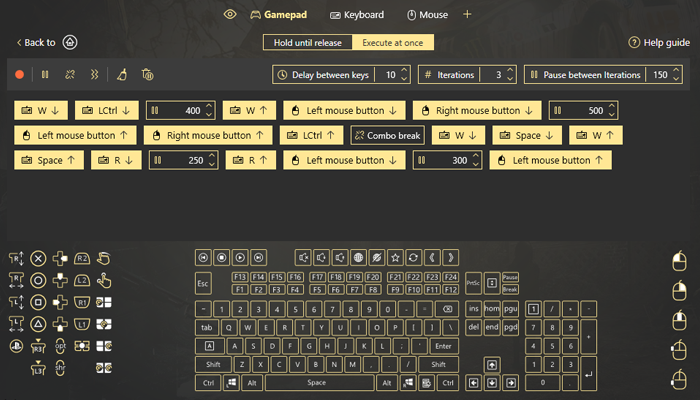 reWASD, gamepad, and Virtual Xbox 360 mapping: you can assign keyboard and mouse keys, mouse moves, change the current gamepad layout by adding the gamepad mapping, or add the virtual Xbox 360 keys if you use a key sequence. Note, that reWASD can hook keyboard and controller buttons. You can turn off the hook for controller buttons in Preferences if they bother you. Shift mode: you set one button to be a shift modifier, and when you press and hold it (for the regular Shift) your layout changes to another set. You also can choose the Toggle Shift, that means, you need to press the Shift modifier once to activate another layout and press the modifier one more time to get back to the main mappings. Works like a charm, feel free to add up to 4 Shift modifiers. No need for Nintendo Switch Pro controller PC driver to increase the number of mappings! Controller button Shortcuts: add a combination of controller buttons that will activate some kind of mapping. 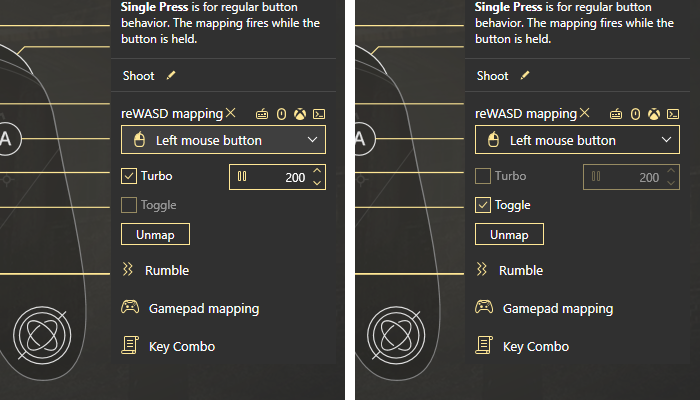 To use Nintendo Switch Pro controller on PC in a full swing, don’t hesitate to add a shortcut: choose what will activate the mapping (let’s say, Left Trigger + A) and choose what mappings will reproduce as a result. The mapping can also be a combo if you wish. All the controller buttons that participate in a shortcut are marked in the main interface. Customize Sticks like a pro: there are various options to tune analog controls. 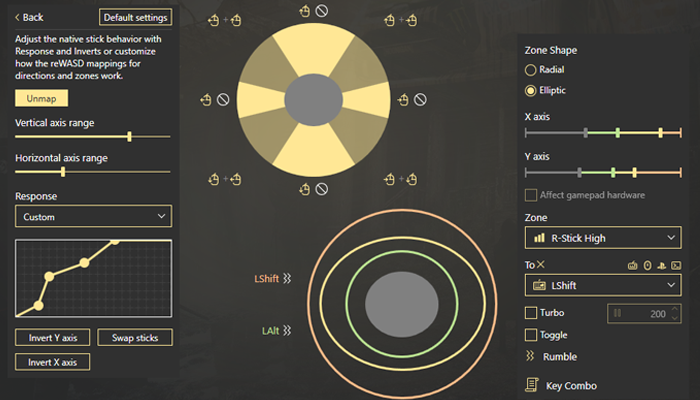 Deadzones, mappings for different zones (keyboard and virtual controller ones), axis range, stick response, stick swap, and axis inversion. 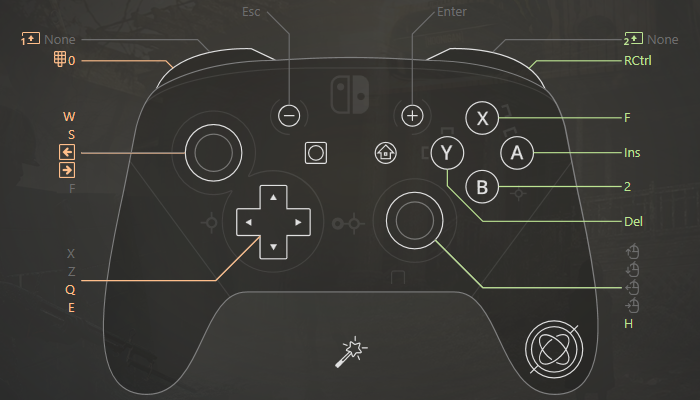 You can whether apply for native Nintendo Switch Pro controller PC support, or to the completely unmapped controller with keyboard bindings instead. Rapid Fire stuff: Turbo and Toggle. You can choose any mappings to be Turbo-ed — you set up the pause, and while you press and hold the controller button the mapping will fire sequentially with the pause. Or, you can choose Toggle — once you press the button, the mappings starts reproducing, and when you press the button the second time, it stops. Make your Nintendo Switch Pro controller PC setup better! Note, that your controller will work for all PC games using Direct Input, wired or wireless. Remember that you always have a possibility to remap the original buttons, and change the layout completely or just a bit. Once your config is ready, you need to press Apply, and the controller is remapped. Now you can use Nintendo Switch Pro controller on PC! This is a quick overview of the most-used features, feel free to contact us if you have any question. You have several ways to do this: contact us in the comments below, via Facebook messages, reWASD Forum, or Discord Channel. And don't forget to follow our Pinterest page for more news!